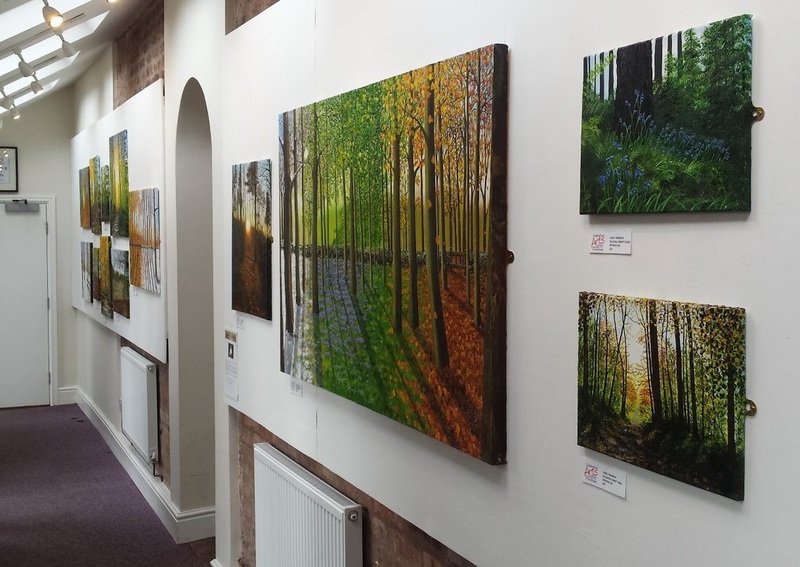 Set in beautiful parkland in the historic town of Frodsham, the Castle Park Arts Centre houses three galleries, craft units, coffee shop (serving freshly made light lunches) and workshop rooms. The Centre is used for a range of events, workshops and classes for people of all ages. 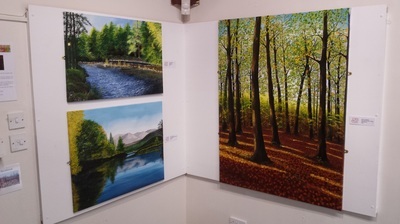 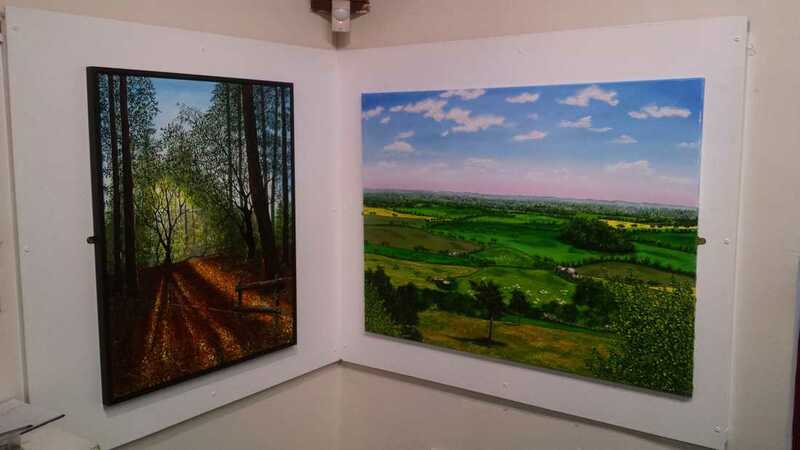 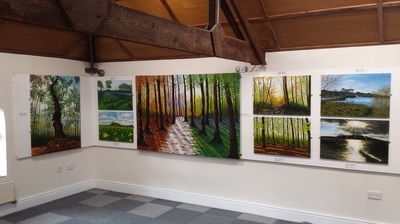 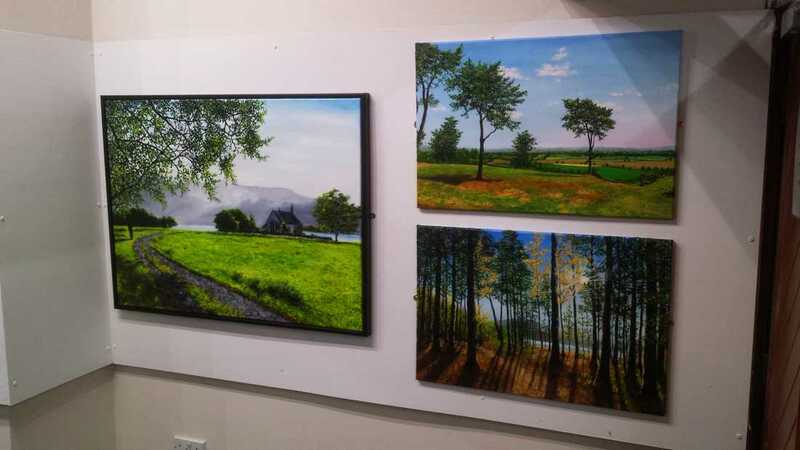 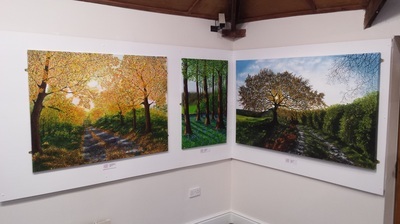 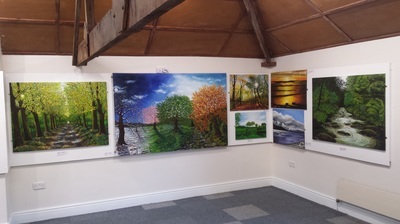 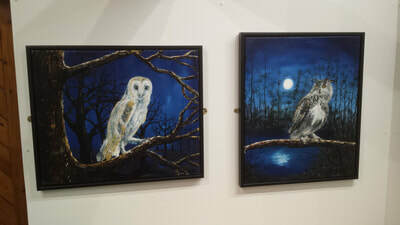 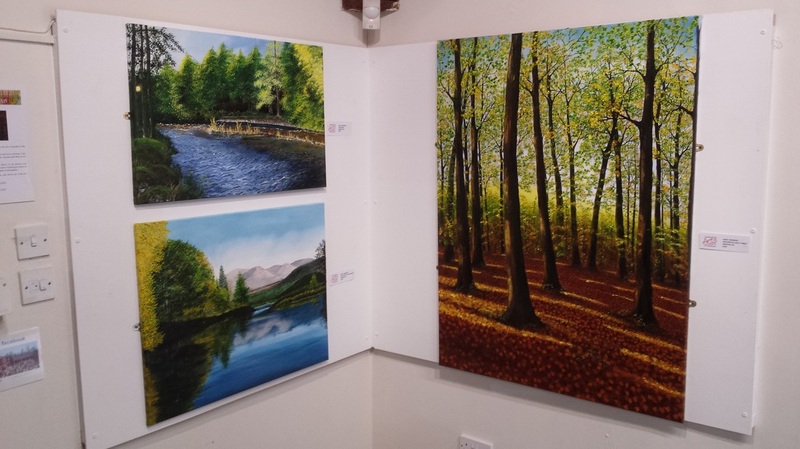 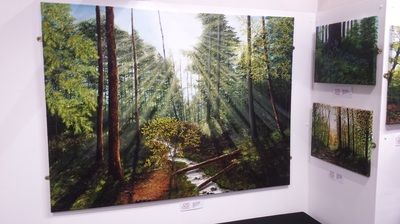 I have exhibited a few times at the Art Centre with a few of the displays shown below. Please come along to my current art exhibition at Frodsham Castle Park Arts. 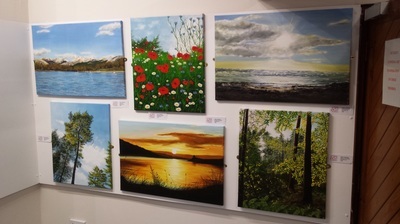 I will be adding some images below soon of a collection of paintings to be displayed at the centre from 9th January 2016. 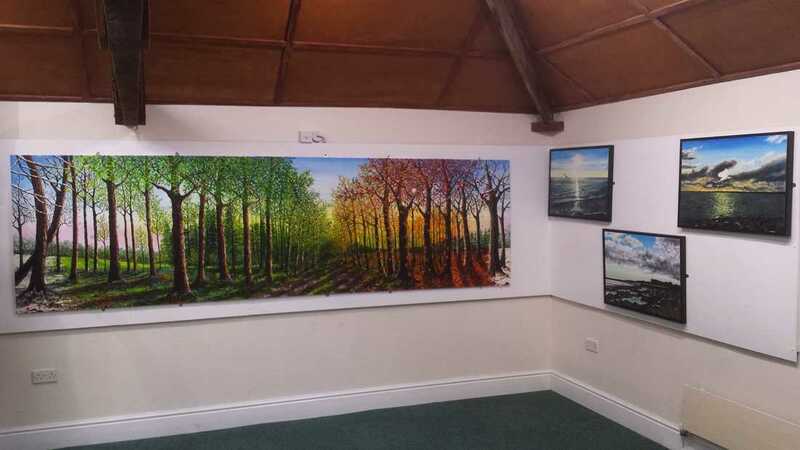 Click here to see the Castle Park Arts web page on the event. 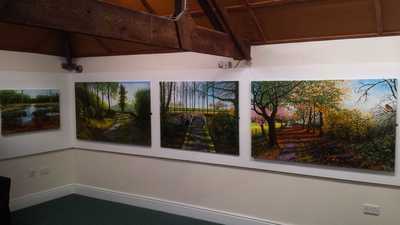 I will be adding some images below soon. Please come along and visit my exhibition from the 9th January 2016. Entry is free. You will be able to come and see me personally on the 15th January from 7:00pm. 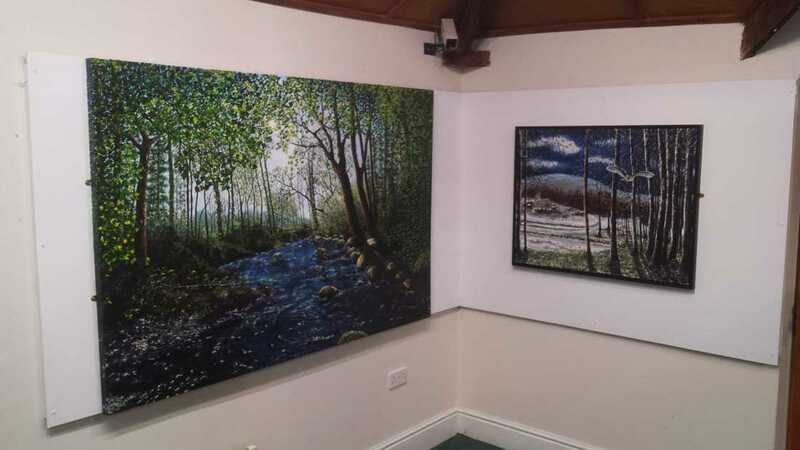 Entry is free and there will be refreshments. 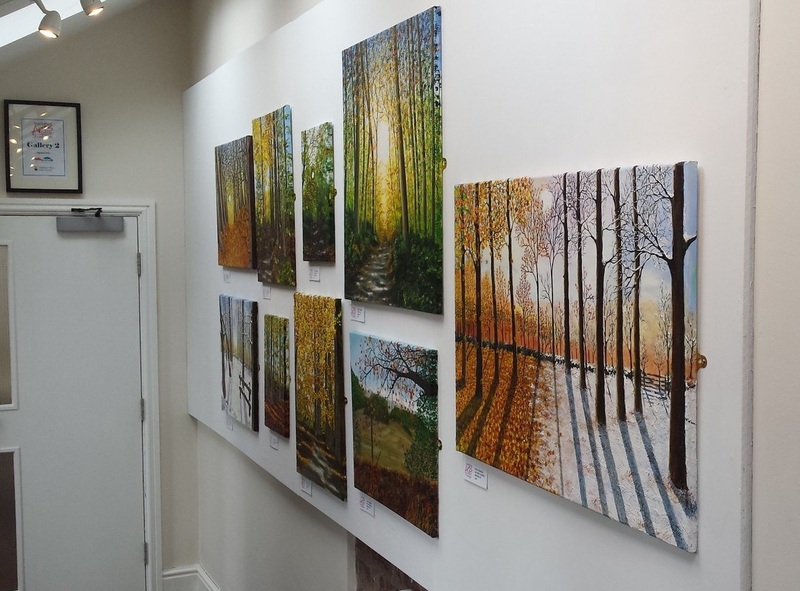 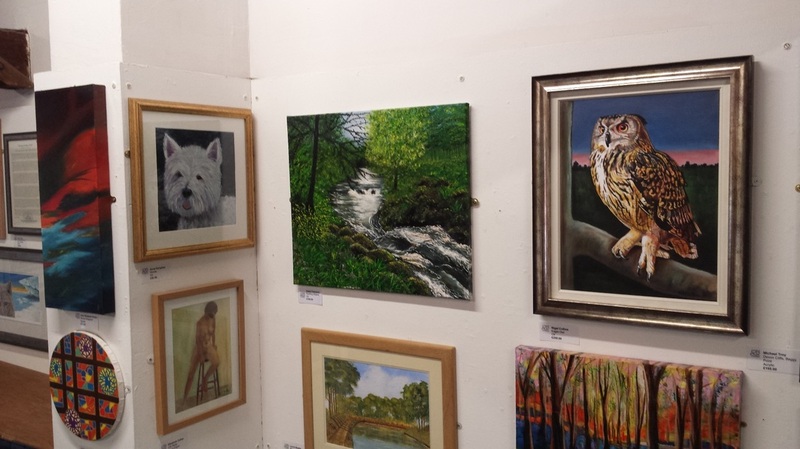 Below are some images of a collection of paintings displayed at the centre from February to April 2015. Below is an image of Rushing Waters that was displayed at the centre in December 2014.